People who suffer from asthma can belong to either the allergic or the non-allergic type. 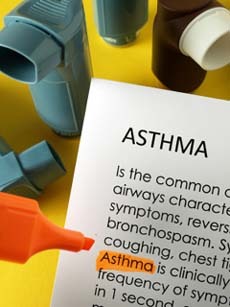 The allergic type of asthma has allergens as their trigger for an asthma attack. This can include pet dander, dust and dust mites and pollen among others. The non-allergic type of asthma has other triggers like stressful situations, strong odors and perfumes and even laughing! The most important thing to keep in mind if you would like to prevent an asthma attack is to stay away from these trigger factors. For those who have the allergic type of asthma, it is advisable not to have pets especially furry ones like dogs, cats, guinea pigs and even birds. If you already have a pet, it is recommended that you don’t pet them frequently and to use wipes that remove pet dander on them regularly. Your house should also be kept clean. Avoid sweeping the floor as it can send dust and dust mites flying across the room. Use a vacuum cleaner instead. For people who have the non-allergic type of asthma, it is best to eat a well balanced diet, get enough rest and avoid any form of stress. Alternative doctors believe that the approach of modern medicine to asthma is inadequate and misguided. They believed that the medications have caused more harm than good since they treat the symptoms and not the problem. Though most alternative doctors use the natural method, the total healing program they designed required medical tests and supervision of a doctor. Alternative home remedies can be safely used by anyone with asthma. One of the alternative cures for this inflammatory condition is magnesium. It helps open up the airways wherein it acts as a natural bronchodilator. It’s recommended that a daily dose of 500 milligrams magnesium supplement be taken for six months. During asthma attack, the lungs become inflamed which makes it harder to breathe. Thus, to reduce this inflammation, omega 3 from flaxseed oil and fish oil is recommended as a supplement. However, if you are aspirin sensitive, consult your physician when taking fish oil. Antioxidants such as beta carotene and Vitamins C and E are also being recommended to reduce the formation of free radicals which are formed when there is an inflammation during an asthma attack. These free radicals are unstable, cell damaging molecules that cause further harm to the body. One interesting herb that I have discovered is called coleus. This herb has been used for centuries by practitioners of Ayurveda, the ancient system of natural healing from India. This herb helps relax the airways. It’s recommended to get a product standardized for 18 percent forskolin, the active ingredient in coleus. Take 50 milligrams two or three times a day for up to a year. 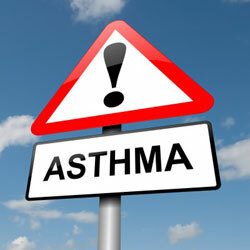 Most asthma cases are often triggered by allergens. The nettle herb is also recommended for patients with sinus problems or nasal allergies. The herb has histamine that helps control allergic reactions that could trigger the asthma attack. In addition, water treatment can also helps relief asthma attack. Asthma can be life threatening, so before you try anything of the above, consult your doctor first. I hope you like my writing. Share with your friends and family. Please read more other articles from my blog site. 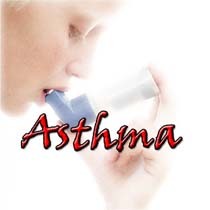 Asthma is a known disease of the bronchial tubes or airways. This disease is a characterized by a feeling of difficulty in breathing, tightness in the chest, shortness of breath, cough, and a presence of wheezing sound in the chest. Water Treatment is one of the natural treatments that gives relief to asthma. Application of fomentation the chest part, twice a day to relieve pain and shortness of breath. Application of steam inhalation, twice a day. Exercises for 10-15 minutes every day. When there is an attack of asthma, you can do exercises for 4 times a day. Best exercises for asthma is, breathing exercise. First step, position yourself on a chair with your back supported by a pillow. Breathe in through your nose and purse your lips as if your are sipping a straw and blow it twice. This can be done in the morning upon waking up and in the evening, as well. There are proven organic plants for asthma medication. Application of Thorn Apple leaves. Dry 2 leaves and roll it after drying. Use this rolled leaves a s cigarette every 6 hours. Tamarind bark is also effective for asthma, by chopping a piece of bark and boil it in 3 glasses of water for 10 minutes. Drink 1 cup of boiled Tamarind bark every after meals and during bedtime. Organic remedy can sometimes relieve discomfort temporarily. If symptoms persist, you can consult your physician.